I had a “Joy of Cooking” childhood. That iconic cookbook sat in the breakfast room for years, its sticky pages covered in a pasty blend of butter and sugar, our favorite recipes (oatmeal cookies, pancakes, blueberry muffins, angel food cake) marked by their wrinkled, abused pages. My sisters and I were spoiled by homemade everything, understanding what it meant to make something sweet, from scratch, at very young ages. My great-grandmother, well into her 80s, made us Italian jelly slices (tiny biscotti with perfect little plops of jelly and glaze) and chocolate chip cookies. Birthday cakes were always served hot, out of the pan, with homemade, imperfect icing on top. I loved the store bought stuff too: early morning donuts, after-dinner ice cream at Graeters, and gummy candy in between. And I still do. This love for the sweetest things, more than anything, comes from my mother. She’s an improviser. Some see this as sacrilegious when it comes to baking, as just the tiniest mixup can make all the difference. Here’s the thing though: when “winging it” works, it’s a science all its own. No pie crust tastes exactly the same, no cake has the same texture as the one before it. You’re really forced to taste the food you make, for better or worse. And taste it she did. When mom bakes, the countertops are littered with bags of flower and sugar, inartfully stuffed into ziploc bags for safekeeping. She wears an apron but still manages to get flour all over everything, including her face and feet. She works aggressively and hungrily, seeing recipe amounts as mere suggestions, adding this and that as she goes along. I like to think she learned this from my great grandmother; I only watched this tiny Italian woman make her famous cookies once, but there was hardly a precise measurement in sight. Either you know how to make something taste good or you don’t, and with sugar, I believe you have to crave it yourself to do it right. My mom’s pie crusts were always lumpy and misshapen, but they were filled with gooey fruit and no shortage of sugar and butter. The slices never stayed on a plate for long. Her oatmeal cookies were all different sizes, having been shoved into the oven before it was preheated and often taken out before their time. But my god, everything she made always tasted so incredibly delicious and REAL. My mom did not make pies and cookies to be looked at and photographed. 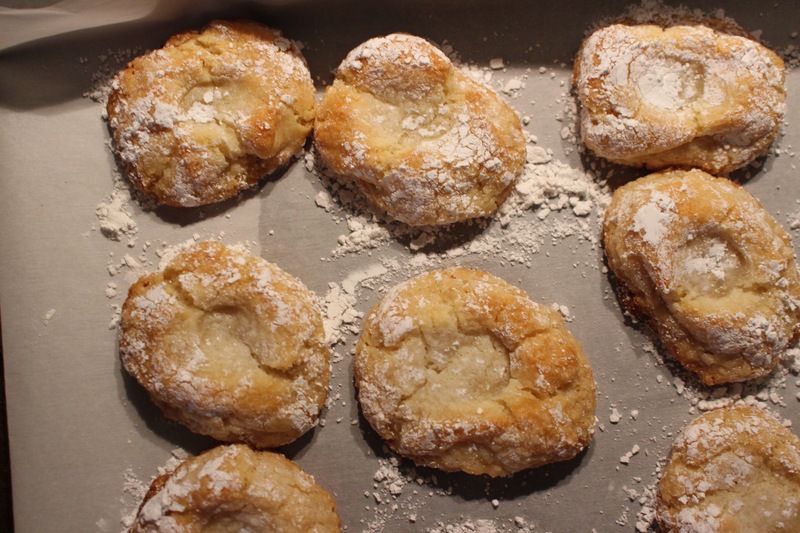 She made them because she wanted to enjoy them just as much as her children and husband and nieces and nephews (and she often did, hot, right out of the oven). She made desserts to be eaten, and fast, maybe with ice cream on top. My mother is irrational, fiercely intelligent, intuitive, annoyingly impatient, imperfect, compassionate, clever, crazy, and oh-so-beautiful. Everything she is shows up in what she makes, and I love that about her. As an adult, I find that I lean more toward my mother’s style when it comes to baking. I want to taste the stuff so badly that I can’t really waste time with cute ramekins during prep, not to mention detailed, patient decorations on the finished product. Instead, my process is this: if I crave it, I make it. Marc’s parents were in town this past week, and his dad is the only one in my camp: the sweet-over-salty, must-have-dessert camp. His favorite food is watermelon; he grew up with a mother who made mountainous chocolate cream pies with perfectly bronzed meringue; he trusts the waitress when she makes dessert recommendations at a restaurant. His arrival came at the perfect time: I had the most intense craving for almond macaroons. These things are better than cookies. They have so little in them it’s almost comical, but they’re so incredibly satisfying. There’s texture, sweet, and edge to a good macaroon. 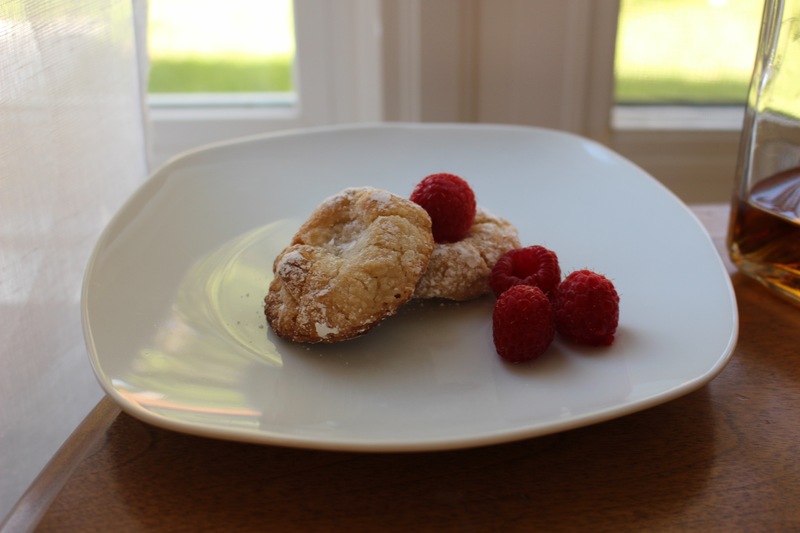 For years I’ve made coconut ones, shying away from the high price tag on almond paste. But this week, I tried it for the first time, and my process was impulsive and furious, just like my mom. 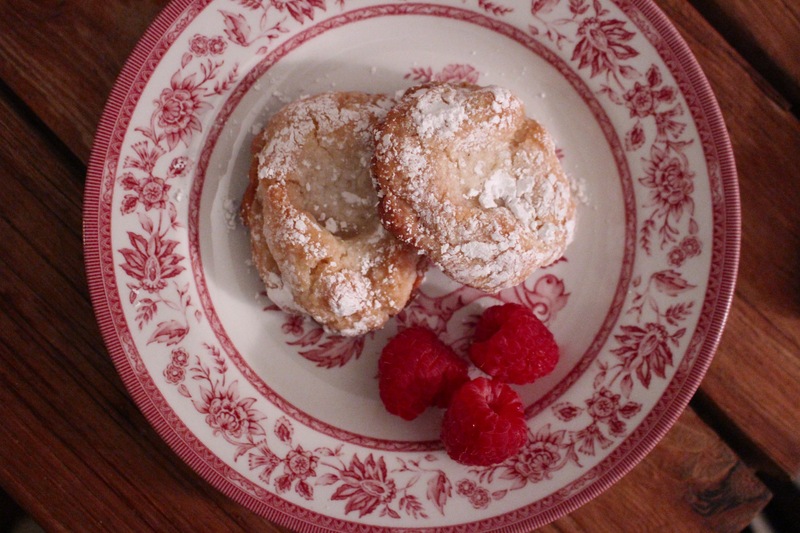 The recipe comes from Saveur, as I was intrigued by their simple list of ingredients, one that left off eggs–a common macaroon must-have– entirely. Almond paste, superfine sugar, and the kicker: amaretto liqueur. That’s it. 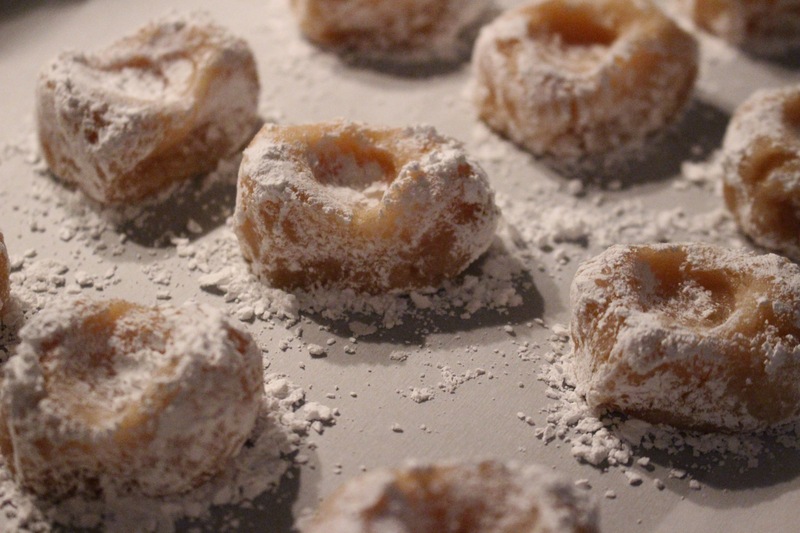 Roll the things in powdered sugar, bake them until golden, and that craving is sat-is-fied. Yes they’re vegan and gluten-free and all that jazz, but I hardly care. They were exactly what I wanted. Marc did not grow up beside mountains of homemade treats, so I can’t fault him for his lack of interest in the stuff. But I will say this: when you get someone to close their eyes in enjoyment over something, it feels pretty damn sweet.